Frank has been appointed by Keeper Security, a US cyber security technology company which has created Keeper, a password manager and digital vault for mobile devices and computers. Frank has been retained to help with global expansion of the Keeper brand. Frank will work with sister agency Hotwire to ensure consistency of message across global campaigns. Keeper Security, founded in Chicago in 2011, currently has 11 million registered users worldwide and 4,000 business customers. 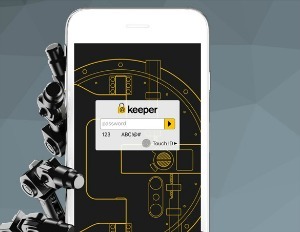 The Keeper Security app allows users to aggregate all the passwords they use on social media channels, commerce, healthcare and online banking into the one mobile app, removing the frustration of having to remember and reset a number of different passwords whilst making their data and assets more secure in the process. The agency will build brand awareness for Keeper in the UK and EMEA markets, as well as establish password managers as a useful tool for those looking to safeguard their digital assets. Darren Guccione, CEO of Keeper Security, said: “We were really impressed with the creative approach of Frank. We are aware we need to educate UK and EMEA consumers about password managers. It was clear we needed a creative agency like Frank to help us achieve this. Alex Grier, MD of Frank, added: “There is growing consumer awareness of password managers in the UK, but to really push Keeper into the mainstream we are going to work with the team to truly disrupt their category.